Shopify Vs WordPress (WooCommerce) - Which eCommerce Solution Is Best? Shopify Vs WordPress (WooCommerce) – Which eCommerce Web Builder Is Best? In recent years the technologies available for eCommerce have made it so anyone in the world can now have their very own online storefront. This expanding market means that if you’re a new eCommerce store owner you’re going to have a ton of choices to make. Now, this can be a great thing, as you’ll be able to find the perfect fit for your business. However, this can also lead to decision paralysis and you’re stuck at the starting gate, trying to choose the best eCommerce platform for your needs. By now you’ve probably comes across dozens of different eCommerce solutions. When researching eCommerce platforms you’re going to need to take a lot of things into account like, managing inventory, choosing a shopping cart, social media integration, security, content marketing availability, price, ease of use, and much more. To make things easy on you we’re going to dive into two of the main players in this space, Shopify and WooCommerce. Shopify and WooCommerce are two of the most popular and widely used eCommerce tools today. Below we get into the nitty gritty with these two eCommerce platforms, so you can decide once and for all, which one will power your new eCommerce store. Shopify is an all-in-one eCommerce tool that lets you build and manage every single element of your online store. There’s no need for prior development or design experience. Shopify has become one of the biggest names in the eCommerce space. Mostly due to their service oriented towards beginners, and how functional and beautiful stores built using their platform actually are. Take a look at some of their case studies to see some store owners who have had a ton of success using their platform. Below we cover some of the main features of Shopify and why you might want to use them to build out your eCommerce store. Shopify truly excels in their design department. They have over 100 different themes to choose from, and most of them look incredible right out of the box. Plus, around 20 of those themes are entirely free, which is perfect if you’re starting with a small budget. There’s little customization required to have your storefront looking professional. When you’re looking into the premium themes their prices go all the way up to $180 per theme, however their prices run all over the board and will fit any budget. Check out my post on these highly recommended Shopify themes. Like any piece of software or tool with a large user base, you’re going to have customers using the same templates and themes. Especially the free ones. For this reason it’s a good idea to spend time customizing your theme. They have a built-in drag and drop theme editor, that’ll allow you to change color schemes, styles, layout, and much more. Shopify has a conventional and straightforward pricing model. There is no free plan (they do offer a 14-day free trial), but they offer variations based upon your needs a store owner. Best of all, it’s self-hosted. So, for a monthly fee everything is taken care of, there’s no need to pay for multiple services to get your site up and running. Their starter plan is called Basic Shopify and will run you $29 per month. There are also additional transaction fees that will cost 2%, if you use an external payment gateway, or it will be waived if you utilize Shopify Payments. Other fees include credit card rates, which will cost you 2.9% of the total purchase, plus $.30. Also included in their Basic plan is two staff accounts, along with unlimited storage, unlimited products, a free SSL certificate and much more. Their mid-tier package costs $79 per month, and has similar fees as above, except transaction fees using external payment gateways will be lowered to 1%. Other fees include credit card rates, which will cost you 2.6% of the total purchase, plus $.30. In this package, you’ll have five staff accounts, unlimited storage and products, gift card creation, professional reports, abandoned cart recovery, and much more. Their highest plan is called Advanced Shopify. This is perfect for business owners who are looking to scale their businesses. This tier of service costs $299 per month, and has a very low external transaction fee of 0.5%. Other fees include credit card rates, which will cost you 2.4% of the total purchase, plus $.30. This package also has the highest number of extras available, including real-time carrier shipping, an advanced report builder, as well as all the features highlighted above. For a full breakdown of their pricing you can visit this page. Shopify has a wide range of store features that’ll truly help you build a thriving online storefront. 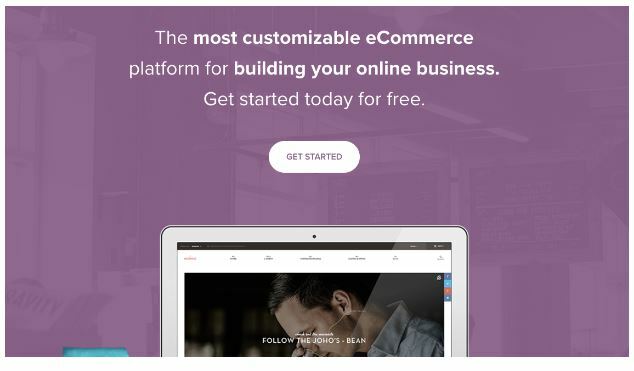 They have a ton of features that’ll help you with both building out and scaling your eCommerce store. Just because they have a ton of features, doesn’t mean it’ll be overwhelming to use their service. They’ve structured things in a way that you can build your store in the shortest amount of time possible, and only add new features and tools as you need them. Shopify truly shines in its simplicity. If you’re not very tech savvy, or don’t like to manage multiple subscriptions, softwares, or services, then Shopify could be a great choice. To get your store up and running, all you have to do is sign up for an account on their site, go through their setup wizard, and your site is ready to rock. Once you create an account the setup wizard will ask you various questions about the nature and purpose of your site, and guide you through the initial setup. After the initial setup is complete you’ll be taken to your main dashboard. This is the control panel of your site where you’ll be able to customize your site, add products, manage orders, and much more. With Shopify setup is incredibly straightforward, and so is every element of building and customizing your store. It’s a very intuitive solution to getting your eCommerce store live in the most painless way possible. Shopify is known for having a very high level of customer support. Since they’re a full-featured software, instead of just a plugin, they have a dedicated support staff to handle every request. Their support team is available 24/7 and you can get in touch with them in a number of ways, whether that’s through email, live chat, or even phone. Plus, they have an extensive knowledge-base that can walk you through site setup, and probably answer a lot of questions that might arise. Their support is incredibly responsive, so you won’t spend all day waiting to get your problem solved. When it comes to performance in the search engines Shopify gets high marks. When you’re using your own WordPress install with WooCommerce you have your own hosting, theme, and plugins, which can all impact your SEO. With Shopify they have dedicated servers which will ensure your site loads extremely quickly, and has extremely high performance. Both of these factors will influence your rankings. Note that SEO is not just about load speeds. You have over 200 ranking factors that determine your prominence on Google. They also offer additional features like, image optimization, alt and meta tag optimization, and extensive product descriptions. Plus, they have an integrated blogging platform, which will help you with your content strategy. It’s not as extensive as WordPress, but it gets the job done. Finally, with all of their packages they include a free SSL certificate. This helps to ensure your site is secure. And it also gives your site a little boost in the search engines. Beyond the initial features of Shopify there are various ways you can add additional features to your store and make it easier for you to do business. Shopify offers an entire app store that lets you improve your marketing, social media, sales process, shipping, accounting, customer service, and much more. Improving your store can be done in a few simple clicks. However, most of their apps do cost a monthly fee. So, keep this in mind when you’re adding more features to your eCommerce store. For a full list of the apps and plugins they offer, you can check out this page. WooCommerce is a WordPress plugin that will transform your WordPress site into a full-fledged eCommerce store. However, if you have an existing site, there might be conflicts with your current theme. So, make sure your current theme is a supported theme, otherwise you might be sacrificing usability and performance. Otherwise you might need to switch to a new theme at the same time you install WooCommerce. If you have an existing WordPress site, then WooCommerce will add eCommerce functionality to your site, all you have to do is install the free plugin. Below we cover some of the main features that WooCommerce has to offer and why you might want to use this plugin to build and scale your eCommerce store. Having a solid site design is a crucial aspect of having a successful store. You need a design that solidifies your authority and makes your visitors want to buy from you. WooCommerce doesn’t contribute to the existing design of your site, but simply integrates and adds eCommerce functionality into your existing site. WooCommerce has been designed to work with most themes on the market. That being said there are certain themes that have been WooCommerce approved. This means that your products, listings, and performance of your store will be much better quality. 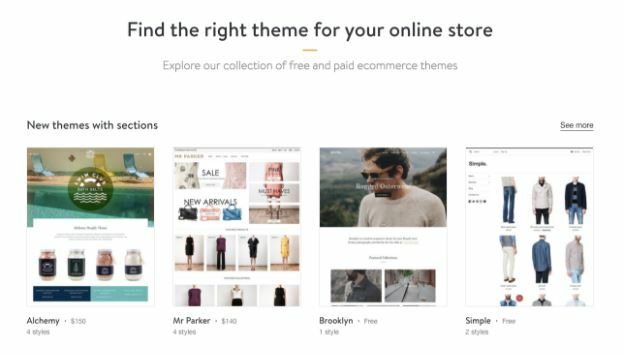 For starters, WooCommerce has their very own free theme called Storefront. So, if you don’t have a theme already, then this might be a good place to start. There are also various child themes available that will let you easily customize their free theme. If none of these themes strike your fancy then you can browse a number of WordPress theme marketplaces that have WooCommerce approved themes. For example, Themeforest has a large collection of premium WooCommerce themes. When it comes to the design options available for WooCommerce it’s virtually unlimited, as there are a near unlimited number of WordPress themes out there on the market. Your only limitation for the appearance of your store is your own creativity and development know how. The overall pricing of WooCommerce won’t be as straightforward as Shopify. This is because WooCommerce isn’t an all-in-one solution, and instead there are multiple things you’ll be paying for on your own aside from the WooCommerce plugin. For example, you’ll have to take care of your own hosting, purchasing a theme, and buying an SSL certificate. Hosting will run you anywhere from $10+ per month, and purchasing a third-party SSL certificate will generally cost you around $100 per year. So, even though the software is free, you have all of the other associated costs of managing a website. I recommend BlueHost or WPengine for decent WordPress hosting. Or you can check out my guide to WordPress Hosting to help you decide. If you do decide to go with Bluehost then you’ll be able to get can it at a discounted rate with this link for just $2.95 per month (36 months sign up) + a FREE DOMAIN NAME worth $15. Plus, you’ll probably want to purchase and utilize certain extensions that add additional functionality to your store. For example, there are extensions that will help you improve your SEO, create additional payment gateways, and much more. You’ll also have to keep processing fees in mind. For instance, the cheapest option would be to process payments via Stripe, which would run you 2.9% of the total cost plus $.30 per transaction. WooCommerce is great in that it’s a simplistic tool that helps you sell your products. It doesn’t bombard you with bells and whistles. That’s not to say it isn’t feature heavy, it is, but it starts off very basic, and lets you have control over what features to add. When it comes to setup, WooCommerce might be a little more difficult. But, that’s only because it isn’t an all-in-one solution, and you’re responsible for getting your site up and running before you can use the plugin. Once you’ve bought a domain name from a domain name registrar, got the hosting, installed WordPress, and uploaded and configured your theme only then can you utilize WooCommerce to build out your store. So, you do need some technical knowledge in order to get your site up and running. However, once you do install the plugin, it is quite easy to use. They do have a built-in setup wizard that will walk you through all of the initial setup, including currency settings, tax, and payment settings. Once all of this is setup you can begin adding and customizing your products. Once you get over the hurdle of the initial setup, WooCommerce is incredibly easy to use. Since WooCommerce is a WordPress plugin, you’ll be able to use the WordPress forum and their built-in plugin support to fix any issues that might arise. They don’t have a dedicated support staff, or line, like other software. But, that’s because they’re a plugin and not a full-fledged service. Luckily, their support forums and plugin documentation are extensive enough that’ll you’ll be able to solve most problems you come across. When it comes to traffic generation strategies it’s hard to beat SEO. Since WooCommerce runs on WordPress you have access to all of the SEO tools that WordPress has available. For starters, the WordPress CMS is already optimized for SEO purposes, and you’ll have plenty of control over your page, post, and product content. Plus, you’ll have access to various SEO plugins, like Yoast WooCommerce SEO, which can take your onsite SEO efforts to the next level. 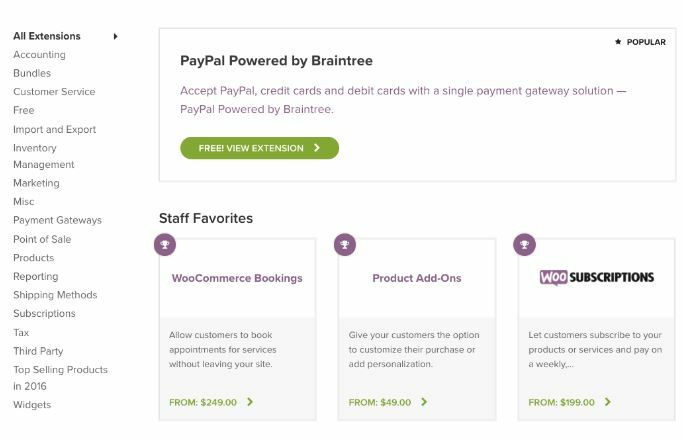 If you’re looking to extend the functionality of your storefront, then look no further than WooCommerce extensions. They currently have over 320 extensions from affiliate software, to coupon generators, to antifraud protection, to additional payment gateways, to revenue management, and much more. With their extension system you can truly create an online store that’s perfectly catered to your needs. However, some of their extensions can be quite pricy, so keep this in mind as you build out your store. When to Choose Shopify Over WooCommerce? 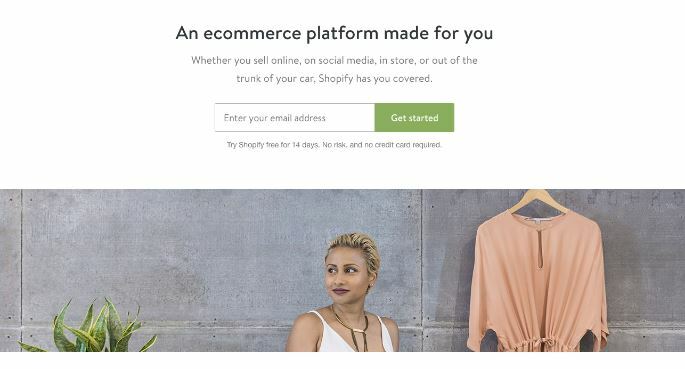 Shopify enables anyone to build a good-looking and feature-rich eCommerce store. And by anyone, we truly mean anyone. Their platform was built with the complete beginner in mind, who has little to no tech or design skills. They also help to walk you through other elements of running an online store, like, taxes, accounting, shipping, inventory management, and so much more. You don’t need a ton of experience or knowledge in the eCommerce space to start selling online, with an attractive storefront. As you can see, Shopify can be a great choice if you’re a complete beginner who’s looking to start their first online store, or even if you’re a seasoned veteran who wants to take advantage of Shopify’s incredible performance and scalability. When to Choose WooCommerce Over Shopify? WordPress is one of the most powerful and useful website management platforms out there. Since WooCommerce utilizes the WordPress CMS you’ll have all of this power at your disposal, when building out your eCommerce store. However, there is a lot more knowledge and technical expertise required to actually launch your store. You’ll need to purchase a domain name and hosting, install WordPress, and setup your theme. All before you even begin working with WooCommerce. You’ll also need to work with SEO and social media plugins to truly get the most mileage out of your eCommerce store. But, if none of this scares you off, and you feel comfortable in WordPress, and editing files, then WooCommerce can be a great choice. After all, they do offer every feature a store owner could want, from product management, to coupons, to payment gateways, to custom reports, and much more. If you’re already comfortable and proficient with WordPress and have an existing site, then WooCommerce can be a great way to add eCommerce functionality. However, if you’re a complete beginner without any technical skills, then going with WooCommerce right out of the gate might be a little overwhelming. WooCommerce and Shopify are built with two different store owners in mind. Shopify for the complete beginner, and WooCommerce for a website owner who’s already familiar with WordPress. Regardless of which platform you decide to go with, we recommend that you pick up a subscription of Envato Elements, to unlock unlimited access to WooCommerce Themes and Shopify Templates, as well as more than 300,000 stock photos. This in unison gives you complete creative freedom, and everything you need to make your eCommerce site the very best it can be. Both offer similar features and benefits, but the tool you choose will depend upon your existing knowledge and goals as a site owner. We hope the review above will help you make the best decision for you and your new eCommerce store. Whether you end up choosing Shopify or WooCommerce, both will help you build a thriving eCommerce store. 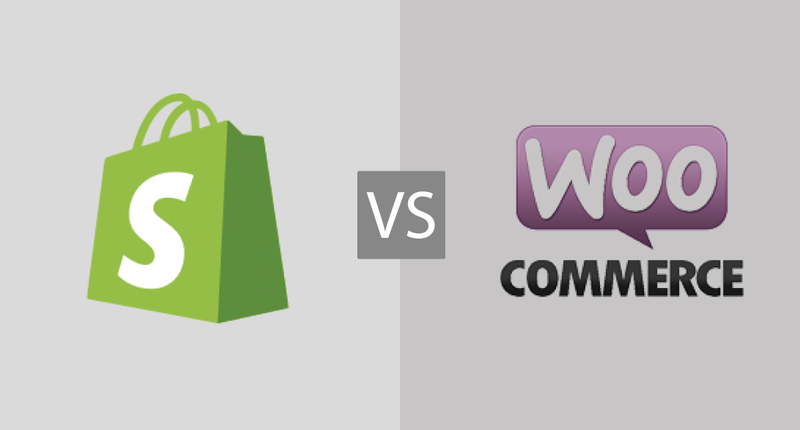 Fantastic comparison of Shopify vs. WooCommerce! Answered all my questions and gave me the insight as to what platform I want to use – which for my needs – will be WooCommerce. I didn’t know Shopify was an all-in-one solution, and as robust as it is ‘out of the box’. I thought it was more like a plugin for WordPress as well. It sounds like a great solution for certain clients in the future with slightly lower budgets (as opposed to the costs of full-scale *design/development/implementation/etc* of WooCommerce), and very quick movement into production/launch, as you mentioned above. Thanks for a great write-up and the time invested into this posting Jamie!